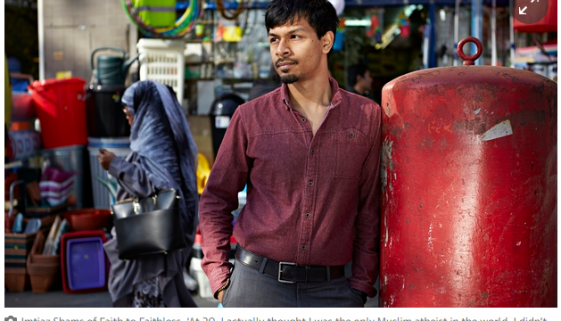 Imtiaz Shams, co-founder of Faith To Faithless an advocacy group for ex-religious people, told The Independent: “Faith to Faithless has come across many parents for whom leaving their faith has had huge consequences for their relationship with their children. Many have had to “go back into the closet” in terms of their lack of faith, even from their own children, simply to protect this bond. 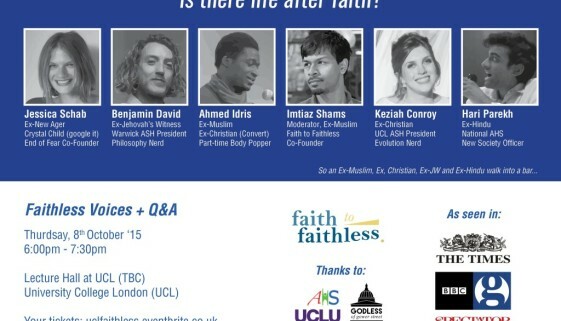 On Faith to Faithless and how we help Ex Muslims not just in the UK, but around the world. How do I get you guys to come to my University / City? Right now we’re launching across various Universities in the UK. We collaborate heavily with our friends in LGBTQ, Feminist, ASH and other societies. We also work with Ex-Muslims who want to bring us to their ‘hood. Events can generally be turned around with a minimum of two weeks notice, depending on location and the availability of our speakers. If you want to do an event with us, contact the interfaithless team at community@faithtofaithless.com. Faith to Faithless’s founder was featured on The Guardian. If you’re looking for our next events, please follow our Facebook page or his twitter. We’re hitting Universities next academic year hard! 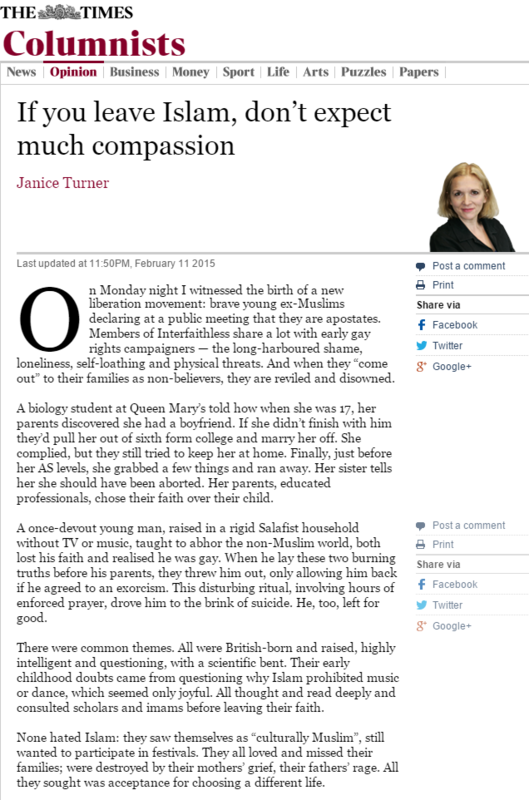 Link to the Guardian article. An event is being set up at UCL University, which has been approved. Please keep your eye out on the Faith to Faithless Facebook Page or sign up to the Faith to Faithless subscribers list! Our University College London (UCL) event is LIVE, grab tickets at the link. This will be our first cross-apostate event, featuring people from all backgrounds of Faithlessness. Please keep your eye out on the Faith to Faithless Facebook Page or sign up to the Faith to Faithless Subscribers list on the left to continue being reminded of events! An event has been completed at Surrey University, sign up to our Facebook page for upcoming events! 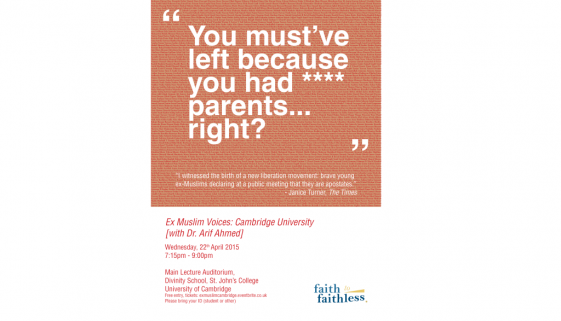 An event has been completed at Cambridge University with Dr. Arif Ahmed! Videos coming up soon. Sign up to our Facebook page for upcoming events.